The Headwaters Chapter of the Virginia Master Naturalists is inviting the public to join them in exploring the special sinkhole pond ecology of the Maple Flats Ponds in the George Washington/Jefferson National Forest near Stuarts Draft on Sunday afternoon, September 7 from 2:00 – 4:00 PM. Home to rare and endangered plants and animals, these Shenandoah Valley sinkhole ponds are at least 15,000 years old, dating from the end of the Pleistocene epoch. Botanist and Ecologist from Mary Baldwin College, Headwaters Master Naturalist, and author of the online resource: Wildflowers of Augusta County, VA. This dragonfly is only found in 3 places in Virginia, one of them is Maple Flats. Entomologist and Master Naturalist, formerly at Douthat State Park, and now with the Virginia Department of Game and Inland Fisheries. 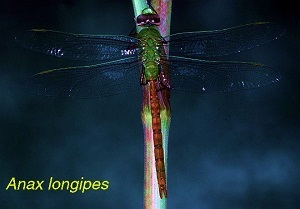 An introduction to dragonfly natural history and behavior, identification and monitoring. Maple Flats sinkhole ponds are home to 55 species of Odonata dragonflies and damselflies, many rare and endangered. Bring binoculars if you have them! The Maple Flats Ponds are about 45 miles from Harrisonburg, 25 miles from Staunton and 12 miles from downtown Waynesboro. Click on the image at left to find Google map directions to Maple Flats Ponds. You will access the Ponds from Forest Road 42, the Coal Road. You’ll see a semi-circular parking area on the right marked with big boulders. If that’s full, go ¼ mile further to the next parking pullout. Parking is limited … please consider carpooling. You may meet at 1:30 at the Park & Ride at Shenandoah Village on Rt. 340, Waynesboro exit. A light rain won’t cancel this event. 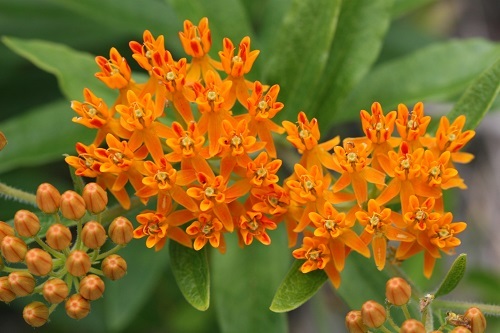 Virginia Master Naturalists can earn two hours continuing education credit at this event! August 29, 2014 in Projects, Training.